Size: -- Choose Size -- 29" x 17"
WHAT MAKES YOUR DOOR MATS SO TOUGH? 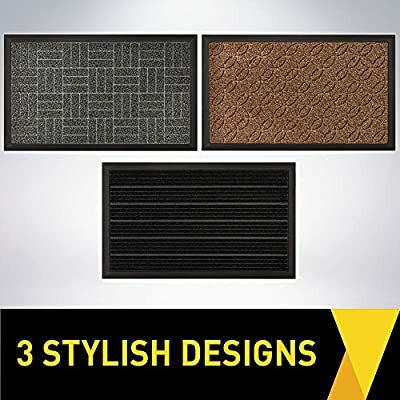 Our door mats are constructed of the highest quality, all-natural durable rubber that feature a textured underside that works on clean, smooth floor surfaces. WILL IT HELP KEEP MY FLOORS CLEAN? Good question. 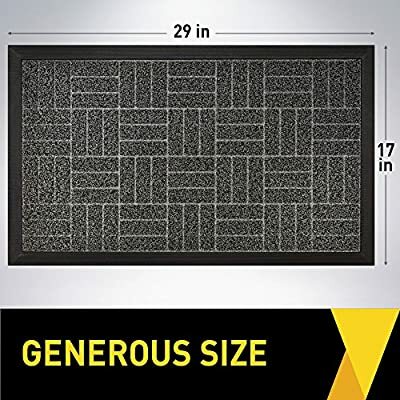 WeÃ­ve intentionally designed our door mats with solid, heavy-duty beveled rubber borders to help keep dirt and moisture trapped in the absorbent mat fabric and off your floors. Plus, the polypropylene fabric is fast drying so your mat and floors stay dry. CAN I USE THIS MAT UNDER LOW CLEARING DOORS? ItÃ­s easy! For a quick clean, simply vacuum with a hand-held or regular sized vacuum. You mat can also spot clean the mat using a mild soap and a damp cloth. For deeper cleans, take the mat outdoors and use a garden hose to rinse off. Always air dry. Never use bleach on the mat. WHAT IF IÃ­M NOT HAPPY WITH MY MAT, CAN I RETURN IT? Of course. We are proud to offer our customers a 100% guarantee on their purchase. If you are unhappy for any reason, please contact us directly at customerservice@hillspointindustries.com and we will be happy to assist you with a replacement or a full refund. No hassle, no questions asked. 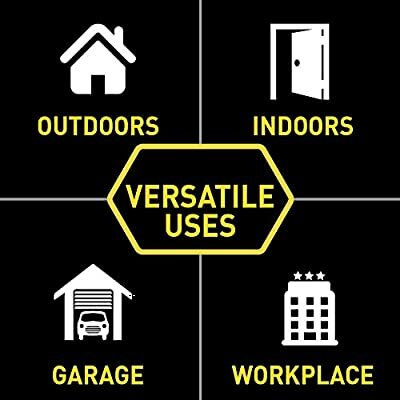 TOUGH CONSTRUCTION: While most standard door mats are made of various recycled materials, ours is constructed of tough, high-quality all-natural rubber. 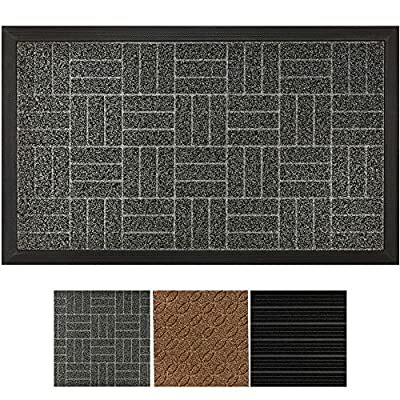 Our door mat is designed to be durable and strong, yet soft and flexible for all-around versatility. Our mats also feature thick and strong woven polypropylene fabric and come in four stylish colors and patterns to compliment any decor. 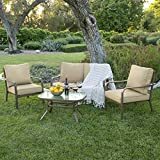 Perfect for both indoor and outdoor use! 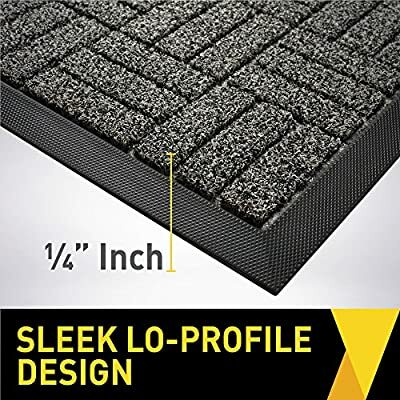 ABSORBS MOISTURE AND DIRT: Our mat is designed with a strong, rubber beveled border that helps to form a retention dam to trap moisture, mud or other messy unwanted debris from tracking into your home. 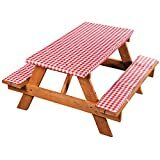 Plus, the slightly raised polypropylene fabric helps to trap dirt within its patterned grooves and dries quickly to help prevent everyday wear and tear. SLEEK LOW-PROFILE DESIGN: Our mat measures 29" x 17" and features 1/4" slim, low-profile design ideal for low-clearing doors or entryways. The sophisticated colors and stylish patterns add tasteful dÂªcor to your front door, home, lobby, office, patio, garage, business, barn, living spaces, driveway and many more common areas! EASY TO CLEAN: Simply vacuum with a hand-held vacuum, sweep with a broom, or shake off outdoors or over your garbage bin. For a deeper clean, wipe with a damp cloth and mild soap, or use a garden hose to rinse the mat outdoors. Allow your mat to fully air dry before next use. Do not use bleach. All of our mats come with a 10-Year No Questions Asked Warranty. 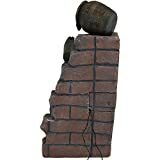 If you are at all unsatisfied, please contact us (through Amazon if past the standard return window) and we will be happy to assist you. 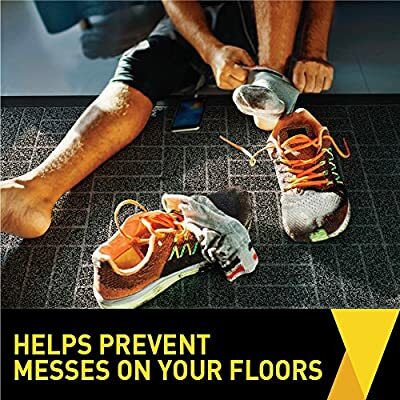 !WARNING: Prevent Falls: Ensure mat lies flat before using. To flatten, roll mat in opposite direction overnight (or until flat).